Forever preserve the memory of your canine companion through custom portrait art that you can admire on your wall every single day. Dogs are photographed outdoors using specialized lighting and lenses to create bold, whimsical portraits that portray your dog's true character. For safety and to help position your pet, dogs are photographed on their leashes, which are digitally removed during post-production. 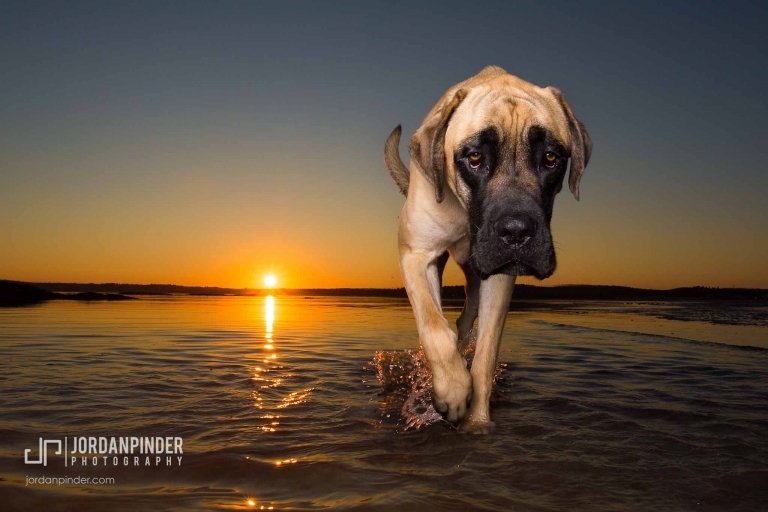 All dog sessions include a planning consult before the session, and a selection appointment to choose how you would like to display your images.